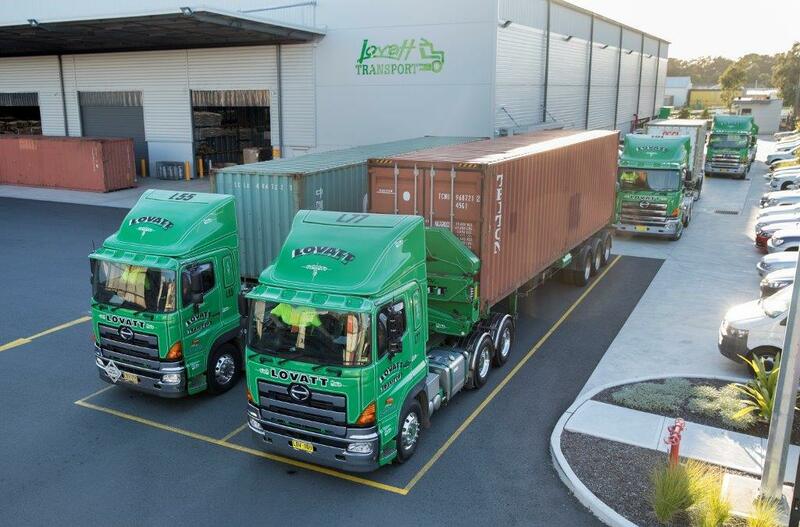 Lovatt Transport Pty Limited ("Lovatts") prides itself on living up to our motto "Leave it to Lovatt". Established in 1979 by William (Bill) Lovatt, the owner and managing director, who brings over 40 years of experience in the industry to offer a service outstanding to none. Lovatts provide a service that is not only professional, reliable, but we also believe unique in its excellence. We are very proud of our position as number one large carrier, as ranked by the Sydney Ports Corporation for the best operational performance of the ports for the years 2012, 2013, 2014, 2015, 2016, 2017 & 2018. Lovatt Transport operate a fleet of vehicles ranging from 1 tonne to semi-trailers which are radio controlled, and GPS monitored, allowing us to maintain constant communication between the office and our client. Our storage and distribution facility encompassing an area of over 3,500 square metres provides cost effective solutions for warehousing and economical storage for many types of inventory. Servicing the transport and storage requirements all by one company means less problems for our customers. We operate a licensed customs bond store, Aqis quarantine and food authority approved with an uninterrupted service from 6.00am until 4.00pm Monday to Friday trading as "Botany Bay Bond". We are proud to say that our company has been operating and servicing the transport needs of our clients for over 39 years which range in size from small, to national, to high profile multi national companies.